I know � an obligatory �title� page to kick things off? Super lame. Sorry, but I didn�t want to just leap into things cold. I wanted you to get a little upset and scroll down here for some sort of explanation of what was going on. Then Wednesday I�ll push you into the story cold. 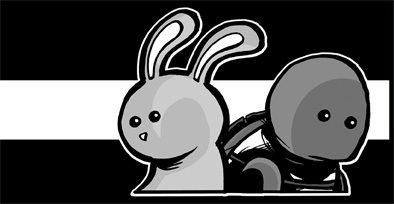 For those of you coming in COMPLETELY cold, welcome to Turtle vs. Bunny: Distractions, the brand new stand alone story continuing off last years original race. 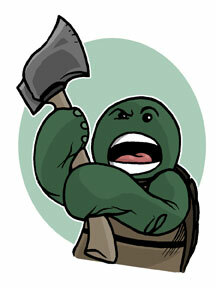 If you haven�t done so, check out those strips and get to know our two heroes Turtle and Bunny. The Turtle vs. Bunny race was driven by the readers. Interactive votes determined what would happen from strip-to-strip. 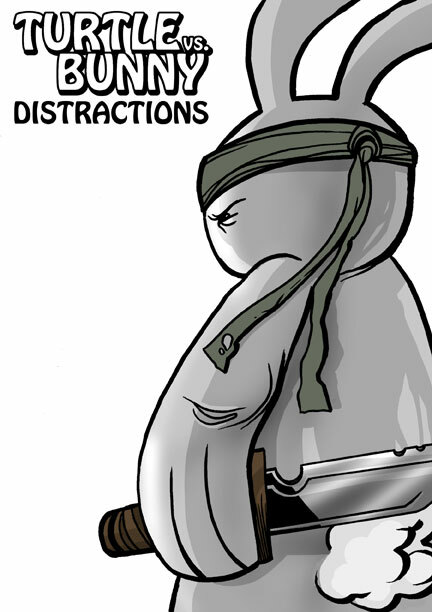 With Distractions � you�ve got no say. Sorry, but as you�ll see, this new story is quite different than the one that inspired it. We�ll see Turtle and Bunny, a couple of weeks after the end of the first storyline, taking on brand new roles in life. I don�t want to give too much away but throughout the course of Distractions you�ll see the two develop through new challenges and revelations from the past. This is no longer just a run in the park. We�ll also be using TVB: Distractions to introduce the next great chapter (here�s where you guys come back in) of the reader interactive race. At the end of February a new race will begin and it will be here, at TurtlevsBunny.com that we�ll be introducing you to prospective racers, letting you vote on which one would be the best for Turtle to race, and building a new adventure from there. 2008 promises top be an exciting year for everyone�s favorite violent/cuddly critters, so be sure to stop by every Monday, Wednesday and Friday to join in on the fun!